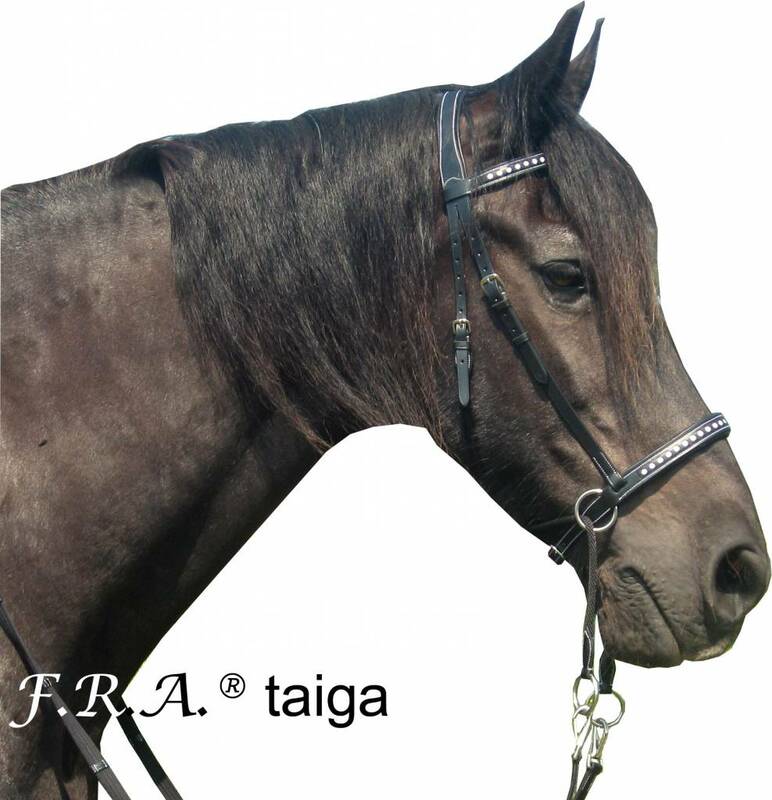 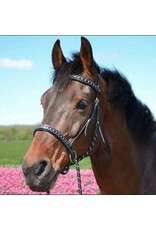 The Cross Under bitless bridle Talga by FRA in black leather with white decorated front and noseband. 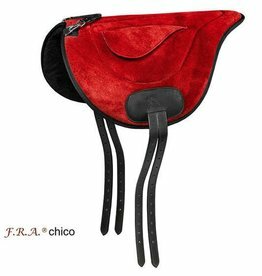 Softly padded behind the ears and on the nose. 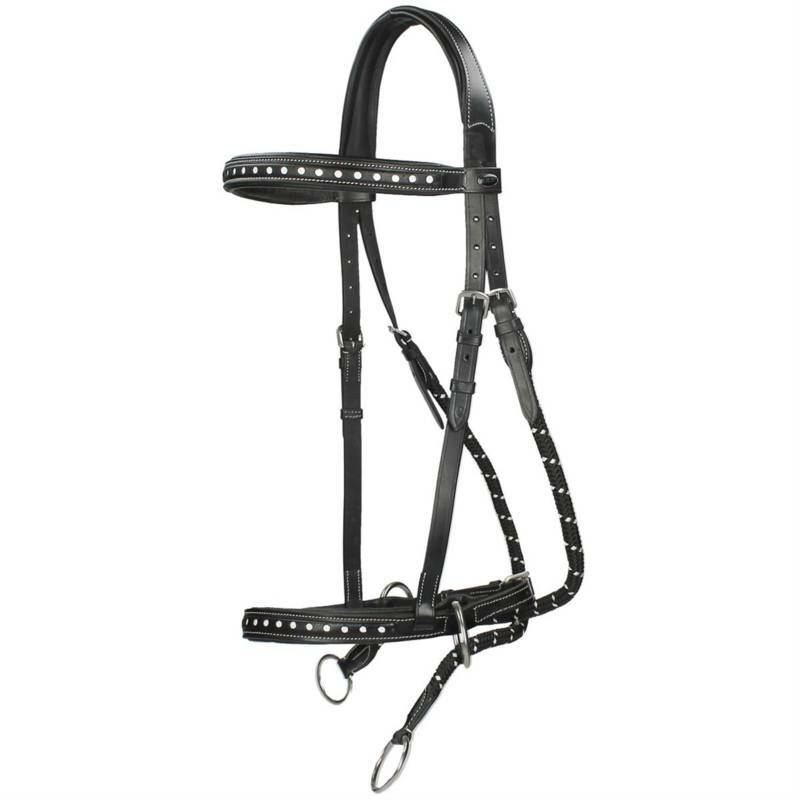 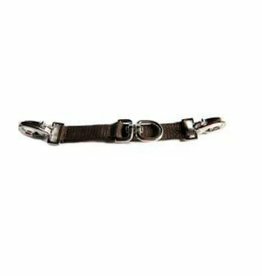 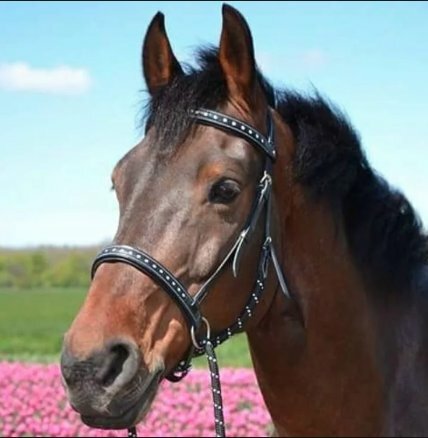 The cross straps are made out of reinforced PP cord to ensure a good release and are equipped with rings for rein attachment. 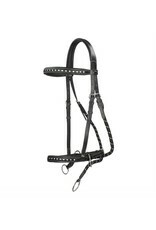 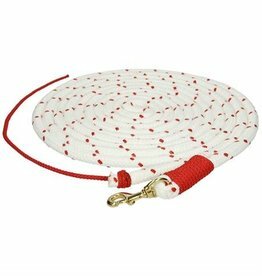 The grip rein is equipped with stops and at the ends provided with a trigger hook. 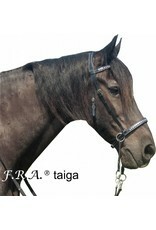 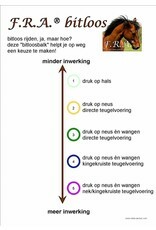 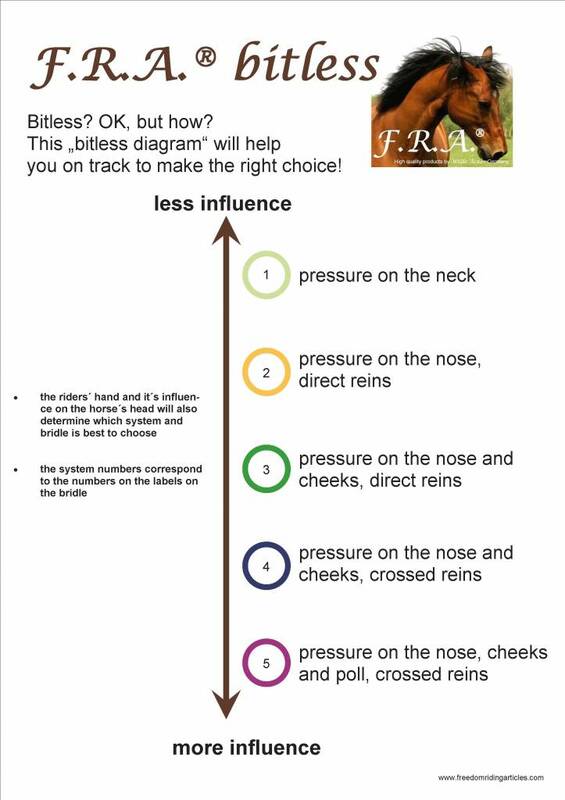 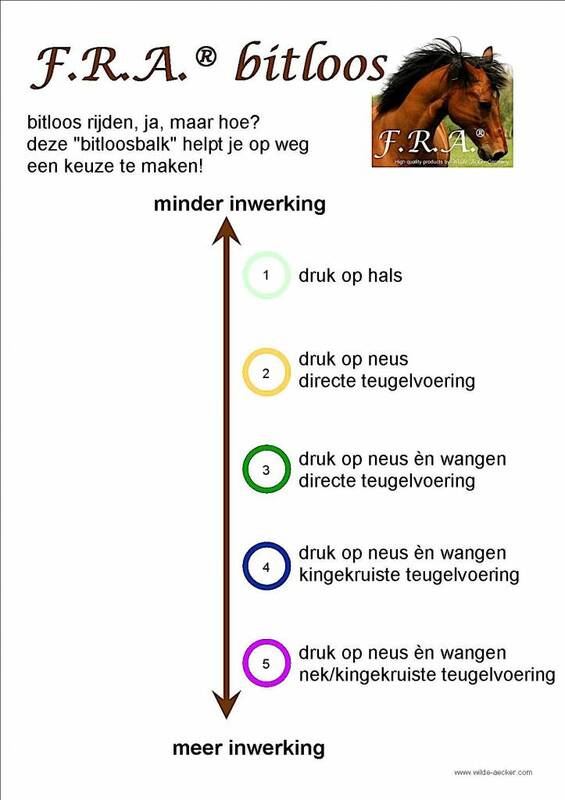 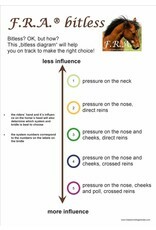 The cross under bridle Talga falls under category 5 of the Freedom Riding Articles bitless diagram.